After a run of frustratingly cloudy weekends, last Saturday finally brought clear skies. And so it was with some enthusiasm that we opened up our astronomical society’s observatory for a public viewing session. We had to go for quite a late start, as the sky didn’t even begin to get dark until 10.30pm, but it was most definitely worth the wait. With the summer skies never getting particularly dark, we focused our attention initially on the planets that were visible. We caught sight of Jupiter briefly, just before it set. We also had a look at Mars, which is still a fairly impressive sight, glowing red in the night sky. 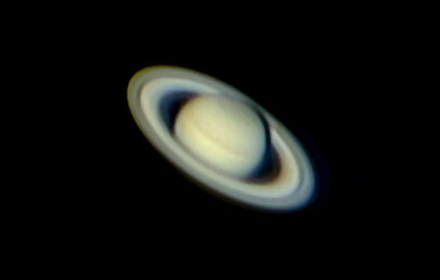 And we had some great views of Saturn, with the ring system clearly visible – even in my little telescope. Here’s a picture of what Saturn looks like. It’s a great target for astronomy, especially public viewing sessions, as it’s fairly easily recognisable by anyone with even the vaguest knowledge of the planets. Sadly, the images seen through our telescopes by eye are never quite as good as those taken with complex imaging systems, but it was most definitely the ringed planet. As the night drew on, a steady trickle of visitors arrived to say hello and to see what was going on. As we’re not exactly on the beaten track, it was impressive that about twelve people had made the effort to track us down. So we tried our best to make them feel welcome and to give them something exciting to look at. Once I’d looked at the planets, I felt like doing a little star-hopping, so spent a happy half an hour tracking down the Ring Nebula. This is a planetary nebula, which is an expanding shell of gas surrounding an ageing star. I had a good idea what I was looking for, as I’d already seen it through the Dobsonian, so I was delighted when I managed to find it in my telescope, too. Sadly, it didn’t look at all like the image to the right, but there was a clear ring there, even if it was all grey and fuzzy. 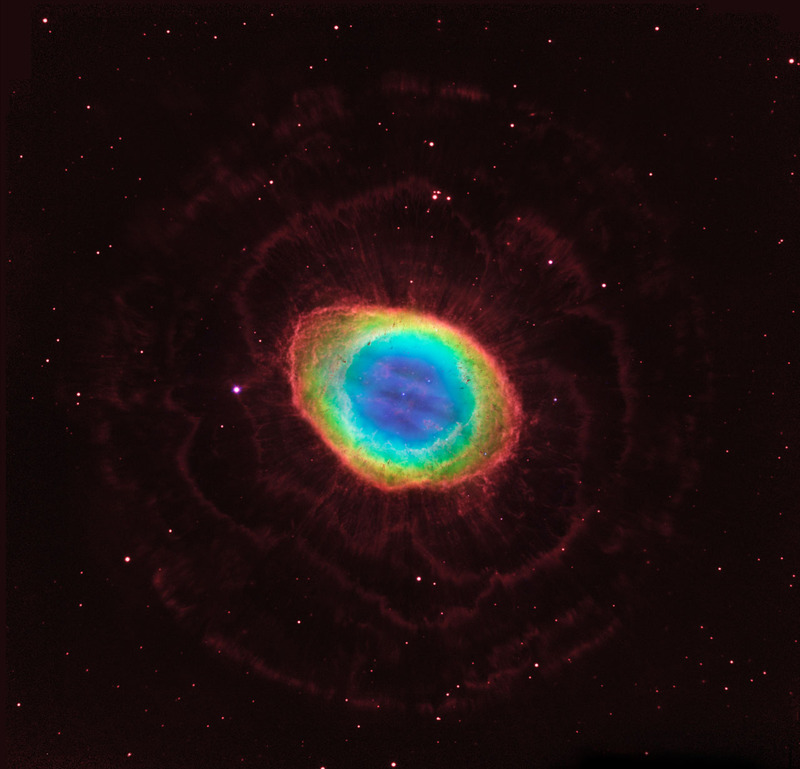 This entry was posted in Astronomy and tagged Astronomy, Ring Nebula, Saturn, Telescope by Simon Perks. Bookmark the permalink.